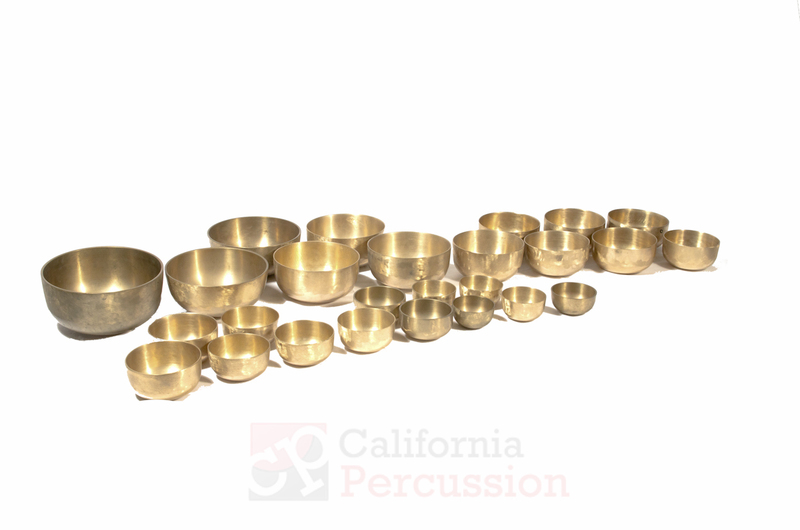 We have 2 1/3 octaves of Tuned Temple Bowls A#3-C6. These are commonly referred to as Japanese Rin, Bowl Gongs, and Cup Gongs. Available individually and in complete chromatic sets.